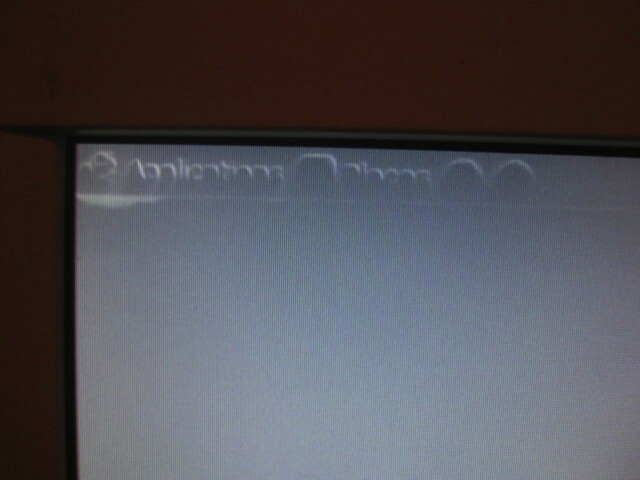 Screen Burn or Just Tired? I’ve been saying my venerable seven and a half year old Iiyama 17″ 4:3 LCD was on it’s last legs for about a year now, but it plods on. I like it. It’s dependable. Certainly the backlighting has been a bit uneven of late, but it’s fine for what I use it for. That said, I noticed a few weeks ago a bit of screen burn in the top left corner; a burn in of the Apple logo and Finder menu item, since I largely use my Mac on this screen. Hmm. Today though, after almost a full day using my Xubuntu box on the same screen, that ‘burn in’ is now pretty much the menu bar from the XFCE desktop. So is this really ‘burn’ or is it more of tired, old pixels just taking a break. Well, if I do swap this out, I’ll keep it to one side just in case, and any new monitor will likely be from Iiyama, which is odd for me as I tend not to let one purchase affect the decision very much on another. That said, it seems most of my friends have been through a few monitors in the time I’ve had this one, so I think Iiyama deserve a second shot.